I picked this up several years back for $10 from a charity resale shop. I have plans for it but just haven't gotten to it yet. there really was a noticable change in their product line with much prettier, more advanced designed bikes (compared to what they were selling towards the end if the 70's) that must have been giving Peugeot and Motobcane big headaches..... 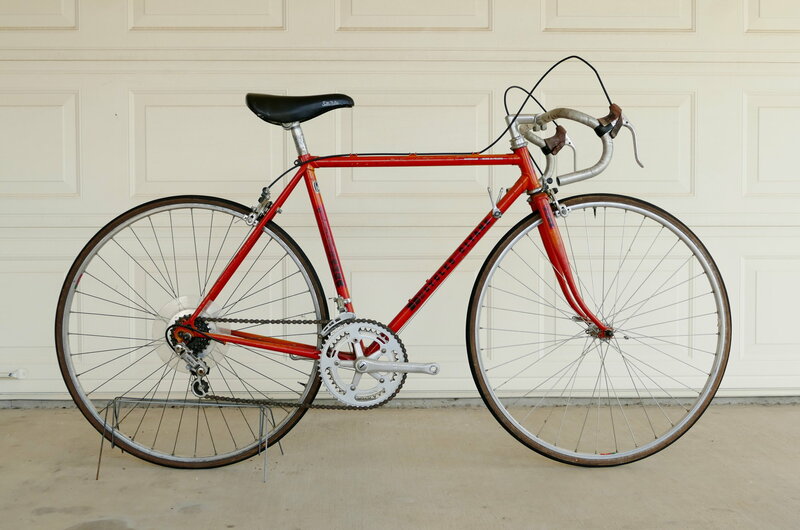 It also helped that Gitane teamed up with the Trek dealership network to sell their bikes in the states to take advantage of Lemond's meteorically rising popularity at that time. Last edited by Chombi1; 02-28-19 at 12:45 AM.